Chaffin, Silovsky & Vaughn, (2005). Temporal Concordance of Anxiety Disorders and Child Sexual Abuse: implications for Direct Versus Artifactual Effects of Sexual Abuse. Journal of Clinical Child and Adolescent Psychology. 34. Dubowitz, Black, Harrington & Verschoore (1993). A follow-up study of behavior problems associated with child sexual abuse. Child Abuse & Neglect, 17. Fergusson, Boden & Horwood (2008). Exposure to Childhood Sexual and Physical Abuse and Adjustment in Early Adulthood. Child Abuse & Neglect, 32. Fillipas & Ullman (2016), Child Sexual Abuse, Coping Responses, Self-Blame, Posttraumatic Stress Disorder, and Adult Sexual Revictimization. Journal of Interpersonal Violence, 21. Finkelhor & Berliner (1995) Research on the Treatment of Sexually Abused Children: A Review and Recommendations. Journal of the American Academy of Child and Adolescent Psychiatry, 34. Gray, Pithers, Busconi & Houchens (1999). Children with Sexual Behavior Problems and their Caregivers: Demographics, Functioning and Clinical Patterns. Sexual Abuse: A Journal of Research and Treatment, 9. Hetzel-Riggin, Brausch & Montgomery (2007). A Meta-Analytic Investigation of Therapy Modality Outcomes for Sexually Abused Children and Adolescents: An Exploratory Study: Child Abuse and Neglect, 31. Kendall-Tackett, Williams, & Finkelhor (1993). Impact of Sexual Abuse on Children: A Review and Synthesis of Recent Empirical Studies. Psychological Bulletin, 113. Nalavany, Ryan & Hinterlong (2009). Externalizing Behavior Among Adopted Boys with Preadoptive Histories of Child Sexual Abuse. Journal of Child Sexual Abuse: Research, Treatment & Program Innovations for Victims, Survivors, and Offenders, 18. Neumann, Houskamp, Pollock & Briere (1996). The Long Term Sequelae of Childhood Sexual Abuse in Women: A Meta-Analytic Review. Child Maltreatment, 1. Putnam (2003). Ten Year Research Update Review: Child Sexual Abuse. Journal of the American Academy of Child & Adolescent Psychiatry, 42. Stevenson (1999) The Treatment of the Long Term Sequelae of Child Abuse. Journal of Child Psychology and Psychiatry, 40. Spataro, Mullen, Burgeess, Wells & Moss (2004). Impact of Child Sexual Abuse on Mental Health: Prospective Study in Males and Females. British Journal of Psychiatry, 184. Schuetze & Das Eiden, (2005). Effectiveness of Psychological Interventions for Child Maltreatment: A Meta-Analysis. Psychotherapy: Theory, Research, Practice, Training, 4. Saywitz, Mannarino, Berliner & Cohen (2000). Treatment of Sexually abused Children and Adolescents. American Psychologist, 55. Tebbutt, Swanston, Oates, & O’Toole (1997). Five Years After Child Sexual Abuse: Persisting Dysfunction and Problems of Prediction. Journal of the American Academy of Child and Adolescent Psychiatry, 36. Weinstein, Staffelbach & Biaggio (2000). Attention-Deficit Hyperactivity Disorder and Posttraumatic Stress Disorder: Differential Diagnosis in Childhood Sexual Abuse. Clinical Psychology Review, 20. 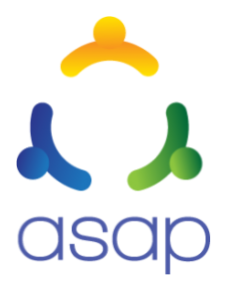 "These programs are in no way supervised or evaluated by ASAP, and therefore, ASAP takes no responsibility for the work they do."